Speed painting is the act of recording of an artist’s screen while they paint a scene. The recording is then sped up so that you can see the piece come together much more quickly. In this round up we have gathered some of the most impressive speed painting videos that we have seen that include paintings of well-known subjects including Scarlett Johansson, Megan Fox, and Iron Man. Take a look at them below and be amazed at how these talented artists produce these fantastic pieces of art. 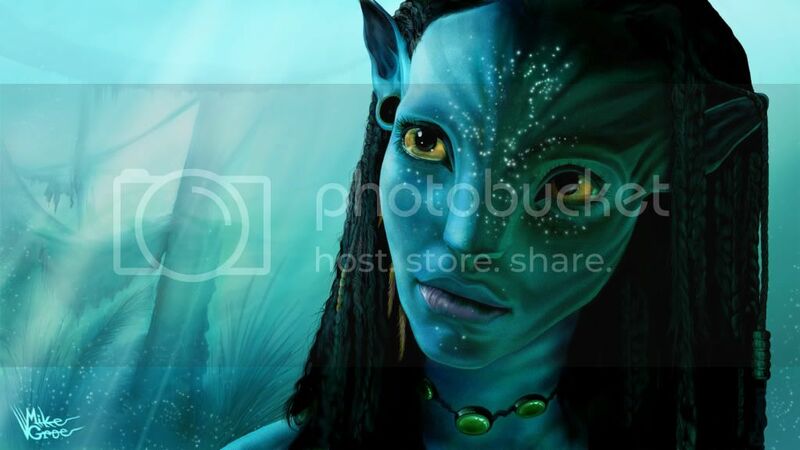 Our first video features a speed painting of one of the most popular movies ever created, Avatar. The final product which can be seen here shows off the amazing result of 12 hours of work. The specs for this piece are posted in the video description so look it over if you are interested. didn't go for extreme realism on this painting but the result is still extremely accurate and amazing to see put together in such a short period of time. It's hard to believe the artist who created this painting said its only a doodle, but this is probably one of the most detailed paintings in this set. The ferocious sea monster is put together in only 4 quick minutes and the result looks simply phenomenal. definitely put his own spin on how this one was painted. that's how good this painting looks. Everyone should check this one out for the sheer talent that this guy has. criticism that comes to mind is that the body isn't as detailed as the face is but we cant really nitpick when the result still looks this good. Kanye West gets the speed painting treatment here and the result is extremely impressive, put together in around 6 hours this designer used a nice brush touch to give this painting a smooth as well as realistic look. Megan Fox is the next celeb in this list to get painted and 6 hours worth of work culminate in another fantastic product. This almost 6 minute video zooms in on specific areas of the painting for the viewer to get a better look at the techniques used to create this. palette was used for this painting yet all of the shading and coloring still looks on point, watch this one to see some great painting techniques used. The thought of a mechanical dinosaur is already awesome but when you combine the idea with a talented artist who can draw it into reality makes for a mind explosion. This very cool painting was done in 3 and a half hours and although it lacks detailed coloring it still features an incredibly detailed scene. tattoo's is incredible and the final product does not shy away from looking like a photo. This painter's childhood hero and most likely many other peoples hero as well gets the speed painting treatment in this video. All of these videos including this one are instrumental and educational for artists who are looking to start digitally painting themselves, this detailed shot of Mr. Ford is a great example of something you should strive for. definitely bares a resemblance to Arnold in his former role. An interesting look at how caricatures are painted. everyone's favorite Doctor Dr. House in another amazing looking caricature, watch this and take notes. rarely see designers actually go into when speed painting. Probably the coolest speed painting out of this set but also the oddest, why paint the famous Mona Lisa upside down? rational and we can all learn from the result. No celeb or mechanical T-Rex here, just a simple yet awesome looking grungy landscape. It is interesting to see how the techniques to painting this are similar/different from those used to create some of the other paintings featured in this set, so browse through this video and be the judge of that. extremely well with each other in this rather odd scene. pallets possible as the final result looks like its right out of a video game.